Granite is a very hard indigenous rock composed mainly of quartz, mica and feldspar/minerals. It is 100% natural stone and not mixed with any type of resin or chemicals. Granite is still one of the most popular materials for countertops. People love the variety and natural beauty it provides. If you are considering granite for your countertops, but want to know more about it's colors and characteristics, call Carolina Countertops for free assistance at 919-475-5966. Because granite is natural stone, not two slabs are identical, although usually granite is sold in “lots”, meaning they are cut out of the same area of rock, and are usually consistent. It is available in a variety of colors, patterns and textures. You can select from almost a solid color like steel grey, to very uniform granites such as a Santa Cecilia, which has a very consistent pattern throughout or to something with a great deal of veining and movement like . 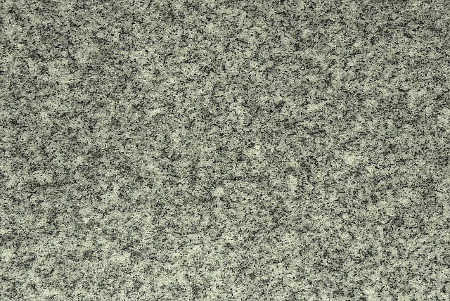 Typically granite has a smooth, polished top; however some materials are available in a leathered or honed finish, which has a natural unpolished surface. Granite is an extremely durable material and is resistant to scratches, heat and stains. Although it is extremely strong, it is still porous and does require proper sealing and prevention from stains. Granite is composed of approximately 40-60% quartz along with other minerals which can make it more porous. Avoid acids such as vinegar, wine, chemicals, oils and clean with warm soapy water and always wipe up spills as soon as possible.